Digital sales of GTA: Vice City came to a screeching halt thanks to copyright issues. If you have fond memories of Grand Theft Auto: Vice City and want to relive them, you may be out of luck - at least for now - as all digital sales have been suspended. Sony Music Entertainment has done for Tommy Vercetti, stopping his violent rampage cold with a copyright claim. 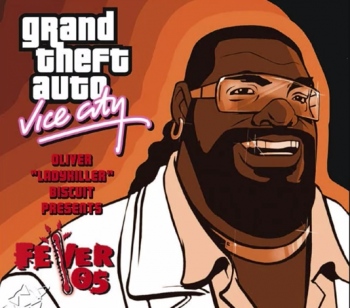 Rockstar wants to get the game back on Steam as soon as possible, but the fly in the ointment is Michael Jackson's "Wanna Be Startin' Something" as heard on Fever 105 Radio. Sony doesn't appreciate its performer's talent being used to make cash for an entity other than Sony. If you already bought this game via Steam, don't panic; your property won't be retroactively yanked from the server. However if you had thought to spend a few bucks on it for old time's sake, forget it. There's no telling when, or how, this one will get resolved; it seems unlikely that Rockstar'd pay Sony a significant sum to ransom what is, after all, a ten year old property, but presumably Sony will only accept cash on the barrel head for a dead man's tune.